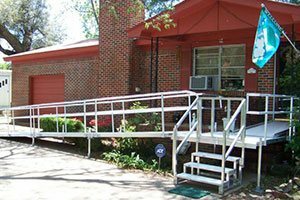 Richmond Ramps is the premier solution for wheelchair ramps and parking lot accessibility ramps through the Richmond Virginia area. We install 100% ADA compliant ramps of all types and sizes. 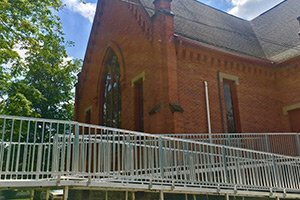 From indoor and portable ramps to custom, decorative and commercial ramp systems, we handle all aspects of accessibility ramp installation and sales. We have many ramp options including wooden ramps, aluminum ramps, and even decoration ramps. There are no permits required for accessibility ramp installation, so your ramp will be installed quickly. Richmond Ramps doesn't make permanent changes to your property when installing a ramp, so if you move we can easily relocate your ramp without costly repairs. We can custom install your ramp to suit your needs and all of our ramps come installed with a 10 year warranty! Need An Accessibility Ramp For Your Commercial Property? We install Richmond accessibility ramps of all shapes and sizes. No permit or changes to your property are required. We can have you set up with a new access ramp quick and easy. From VA Hospital Patient Ramps to parking lot wheelchair access points, our knowledgeable and skilled team is just a phone call away. Same Day Estimates Over The Phone! 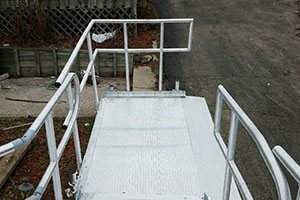 Richmond Ramps has been providing accessibility ramps for many years. 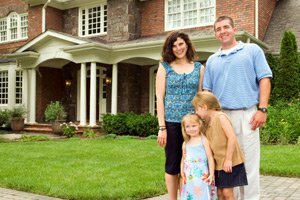 We know our way around the business and how to handle client expectations. You need quality ramps to provide stability and security - and we're your local accessibility ramp experts who can help. We offer a variety of services that extend past just selling ramps.